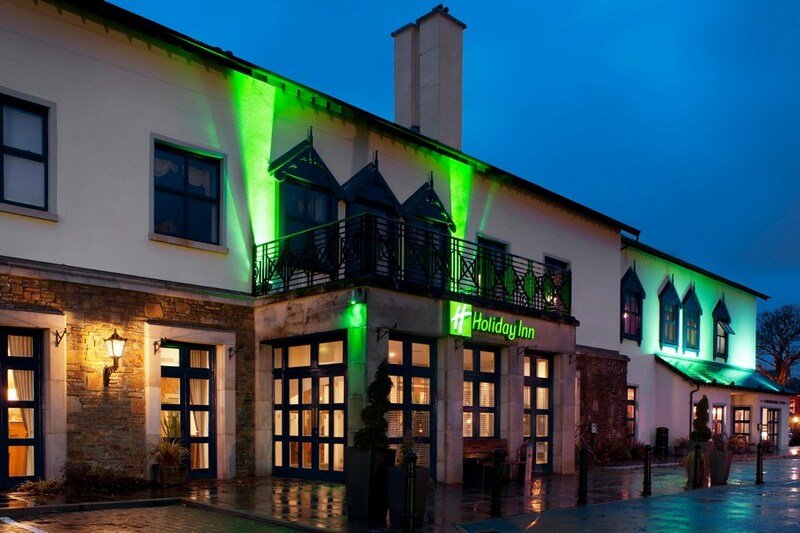 Take a break and enjoy all the Holiday Inn Killarney, Co. Kerry has to offer. From our newly refurbished rooms to a fully equipped leisure centre, your stay at the hotel will be all you want it to be. From once you arrive you will be greeted with a friendly warm smile and our hotel staff will be on hand to deal with all your needs. Our first time staying at Holiday Inn Killarney. We have however had lunch in the bar several times over the years. The food and services were as good as ever..we had grandchildren staying with us, the room we were given was on the ground floor, and perfect for us. We will be staying again. Nice hotel friendly staff. Swimming pool small. Had stayed here in 2015 and found on return that the decor had become a little dated, however the staff were as good as ever as was the food. Best feature was the bar both for food and service. The leisure centre was adequate but again let down by minor cosmetic faults ( mainly around jacuzzi area) Overall a pleasant stay. Excellent food in restaurant! Good atmosphere in bar, rooms clean, very friendly staff, pool warm but small. Will go back again. we booked two rooms for weekend of 30th september. we had two lovely clean spacious rooms. the staff were always friendly and helpful. we had a 7 month baby with us and were obliged with free food . the staff had to replace all the bed linens the baby got sick at 9pm on the saturday night and it was no trouble to them. the breakfast was of a very high standard. even though the bar area was dated it was clean. entertainment provided on both nights. We would have no trouble staying there again as it was great value. We were however disappointed with wifi. signal very weak. Mary. Receptionist very helpful in arranging early check in. Staff all very helpful and really enjoyed our stay. Stayed 1 night, sunday 27th March, happy with room and breakfast, very good value for the price. Very happy with hotel, bedroom, and welcomming, friendly, and obliging staff. Really enjoyed my stay in the Holiday Inn Killarney. staff were very friendly. room, food etc was just perfect. will stay again very soon. We had a wonderful stay in Holiday Inn. It was really good value for our money. The food was very nice and the staff were friendly. There was music in the bar both nights we stayed so that was great. I would recommend to any guests. Room was huge but breakfast let our stay down. We had a great stay in the holiday inn with the family,good breakfast,good dinner,friendly people working in the hotel.will go back again. 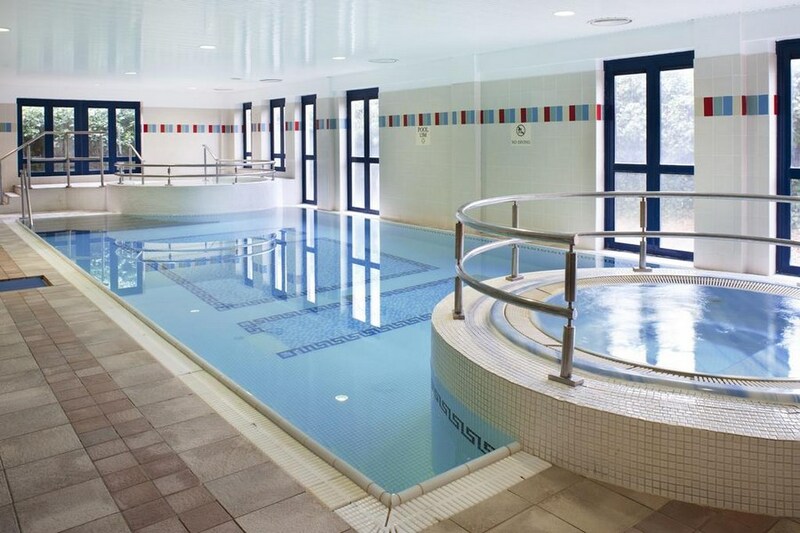 (star rating 4/5)(big swimming pool abit deep for young kids). We had a very enjoyable overnight stay. Facilities are great. Very child friendly hotel. Would definitly recommend and hope to be back again. Excellent stay again at the holiday inn ,staff very helpful and friendly, food and service excellent! Great hotel, very friendly helpful staff, lovely facilities, room very clean. Disappointed with the standard of food in the bar - have previously eaten there and this visit was not up to par - luckily the staff made up for it. I thought €7.50 to rent a kids movie in the room was a bit steep considering how cheap it is to buy a dvd these days but it was handy to have the facility. Stayed at the Holiday Inn on a 2 B&B and 1 evening dinner break. It turned out to be superb value. It is located within a five minute walk of Killarney town. The room was spacious and comfortable, the staff were polite and professional, The decor was a little dated as would be expected from a hotel of this vintage. The leisure center and bar areas were both pleasnnt to occupy and good entertainment was available in the bar both evenings of our stay. An all round good value hotel for a relaxing weekend. Reccommended. Our stay in the Holiday Inn was very enjoyable. Staff were very friendly, Breakfast was delicious with a wide variety to choose from. Evening meal was very nice just a bit dissapointing that it was two course only!!!!!!. The Bedroom was beautiful with loads of room, we were very lucky to get a bed sit. Hygiene was excellent. Over all Iwe were very happy with the hotel. Most friendly, very welcoming and lovely atmosphere. I found the stay enjoyable with the room and the food great. Great weekend. Kids loved it. Staff were very friendly. Rooms were clean. A lot of positives. On the negative side it was too easy for kids to purchase films on the TV without you knowing....should be a parent lock in place. The swimming pool area needs a drastic over haul. The Jacuzzi wasn't the most inviting and the steam-room was a bit grotty. That said, I would use this hotel again. Stayed in Hotel on 25th & 26th of Ocotober 2013, very enjoyable stay,great food and staff very friendly and helpful. Hope to go back another time. Very pleasant overnight stay, friendly and helpful staff. Comfortable room, excellent dinner. Maybe receptionist could advise guests about regulating aircon in rooms, we only realised next morning that we could have turned down heat, heard other guests complain about heat also. As another reviewer mentioned, coffee is not good, same with chowder which I had on arrival. All in all I would readily reccommend this hotel to visitors to Killarney. good location for visiting lakes, Muckross House and other sights. The staff were friendly but the beds were terrible, enjoyed the music in the bar. 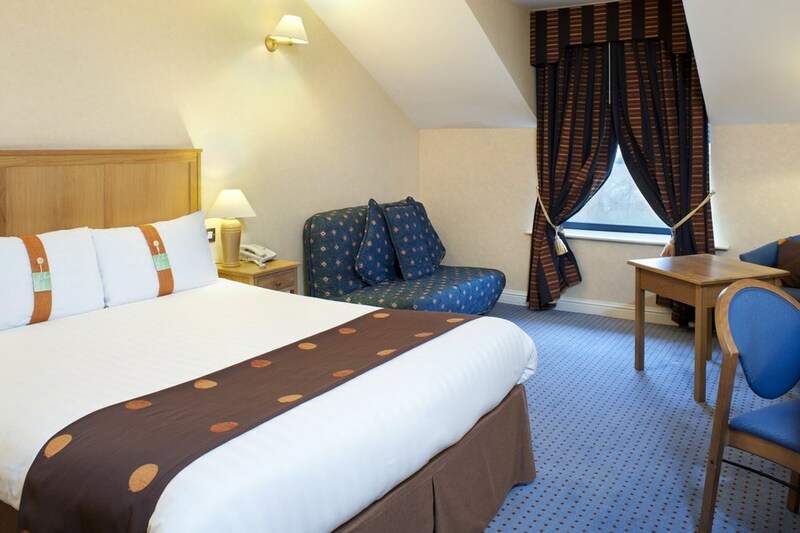 staff were helpful friendly and welcoming.Hotel was clean warm and conveniently situated. breakfast was good. Good location close to everything, value for money and great friendly staff. Excellent value for money. Kids under 12 were free!We stayed for 2 nights and used it as a base while atteding a wedding. It was clean and the staff were very friendly. We will stay there again when down kerry direction. My only gripe was that the pool wasnt open untill 3pm and the kids wanted a swim before we had to check out at midday. Hotel was so accommodating with my booking. Extremely helpful on the day we arrived. uPGRADED TO A SUITE AS IT WAS MY MOTHERS 60TH BIRTHDAY. rOOMS VERY CLEAN AND SPACIOUS. HOWEVER, Meal in the hotel was awful in many ways. Again service was excellent. The worst part of the stay was the experience in the leisure centre, lockers hanging off, shower rails full of rust, cracked tiles and broken doors. The Jacuzzi stunk of must and mould. The steam room was full of rust and just didn't feel healthy to walk in the leisure centre let alone use it. This was very disappointing. stayed in the holiday again last weekend. fantastic hotel . well located . food is always brill. bedrooms a great size . could not say nothing bad about it. We stayed as a family of 3 for 1 night in September and our experience in the Holiday Inn Killarney was fantastic. The staff on the front desk were polite, helpful and very friendly. Our room had 2 large double beds and was very comfortable and clean. We were in a room very close to the pool area which was a concern for me as I thought it would be very noisy, but I need not have had any concerns as there was no noise and the close proximity to the pool was great for us as we were able to change into our swimming costumes in the room and come back and have our showers. The pool though small was lovely and the warmth of the pool water was a pleasant surprise. We thoroughly enjoyed our swim here. Dinner was gorgeous and breakfast just as nice. Overall I would have no hesitation in recommending the Holiday Inn Killarney and I can't wait for our next trip to Killarney. Excellent place to stay in Killarney. Very good pub grub and friendly staff. We had a lovely stay here. We were mostly happy with everything. The only negative was our room. We booked a family room which we assumed consisted of the separate dining area. Unfortunately we were given two double beds. Not really suitable with a two year old in tow. Apart from that it was clean and comfortable.